where your hand contacts the ball when serving are four things that will help determine how successful your overhand serve is. That should help explain ahead of time why much of my advice on how to serve a volleyball is concentrated on the correct positioning of your feet and lower body. 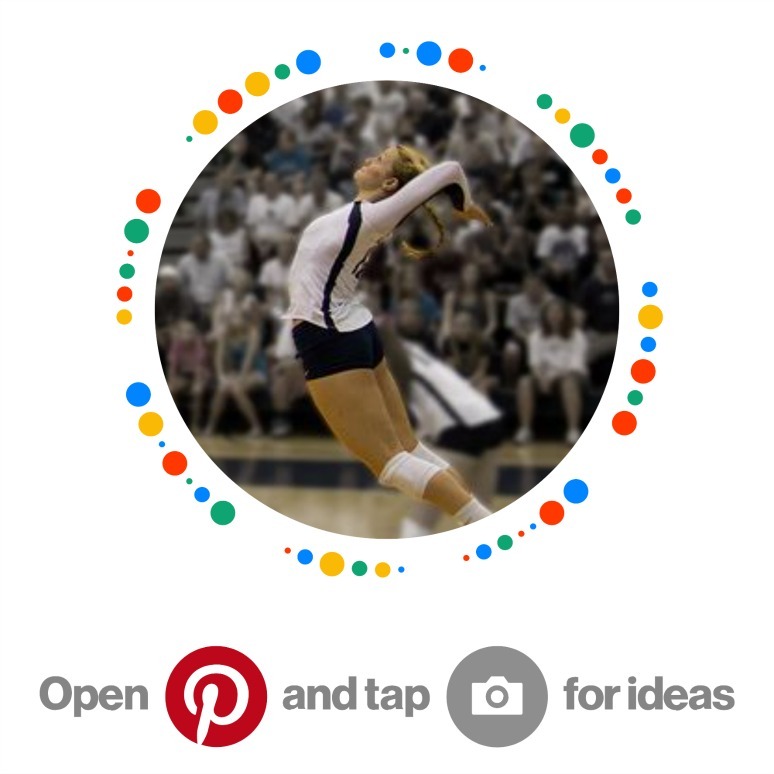 Jump float serve: Decide where you need to serve first when learning how to serve a volleyball. When you learn how to serve a volleyball you should first decide exactly where you want your serve to go. When you're first practicing your serve, your ball may not always go where you want it to but no matter what, you always want to serve the ball with a purpose. Remember that you want to have a place or a person to aim for when you serve the ball in the opposing team's court. Identify a location on the opponent's court where your serve creates the most difficulty for the opposing team to run their offense. For players learning how to serve a volleyball, serving with a purpose is an important part of the process. Are you going to serve the ball cross court? Will you serve down the line? Are you going to serve the ball short to a particular player? Decide what you're going to do with your serve before you serve. In order to begin the serve we first start with how your feet should be positioned. If you are a right hander you should place your right foot parallel to your left foot so both feet are parallel to each other. Yes, this makes them parallel to the net AND the service line also. This means your left hip and left tossing arm should be pointed straight ahead and aimed at the target you want to serve. Your body should be opened up and perpendicular to the net, facing the wall on your right with feet and hips parallel to the service line and the net. If you decide to serve cross court to the opposing team's zone one (1) area, then your hip should be pointing cross court and so should your tossing arm. You should have all your body weight equally distributed on both feet. This should be a very comfortable position. Even though your feet are pointed towards the wall on your right, the heels of both of your feet should be on the ground. 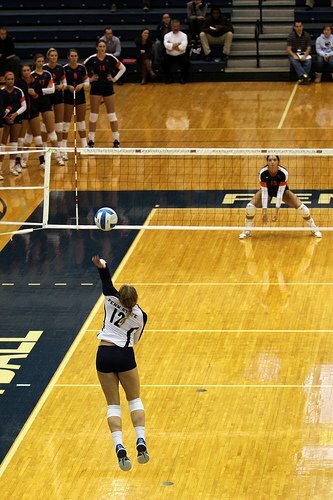 The only lower body movement needed when you serve the ball will be a very very slight step with your left foot, in place, required when you pivot your body weight from your right foot to your left foot, after you toss the ball two feet in the air. How to serve a volleyball: The starting position for the overhand serve toss will be with the ball in the palm of the non serving hand. Your non-serving arm should be extended straight out to the side of your body, parallel to your hip and holding the ball that you will toss in the palm of your hand. This is the arm that you will be tossing the ball in the air with. This would be the left arm for right handers and the right arm for lefties. It needs to be held comfortably straight out to your side and pointing directly at the target you intend to serve to. Some people start with this hand down by their side. 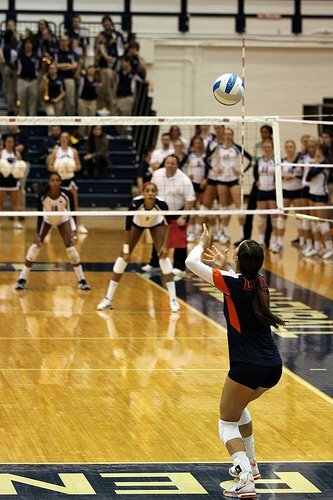 When you do this, it adds more movement to your floater volleyball serve technique which is unnecessary. Make sure the starting position for your left arm is straight out to your side, not down by your waist. I teach players to eliminate all extra unnecessary body movement and to be very aware of what their body is doing at all times.